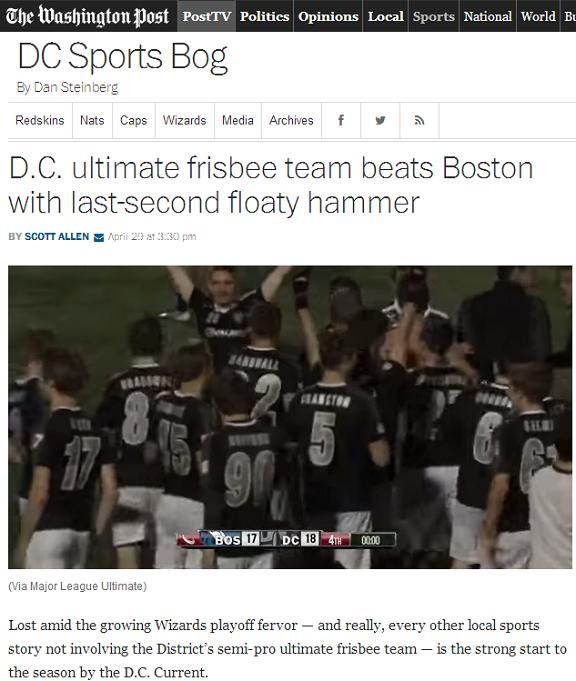 Well, it's not the first time the DC Current was mentioned on the Sports Bog, but this is actual coverage of pro Ultimate Frisbee on the Washington Post's DC Sports Bog! 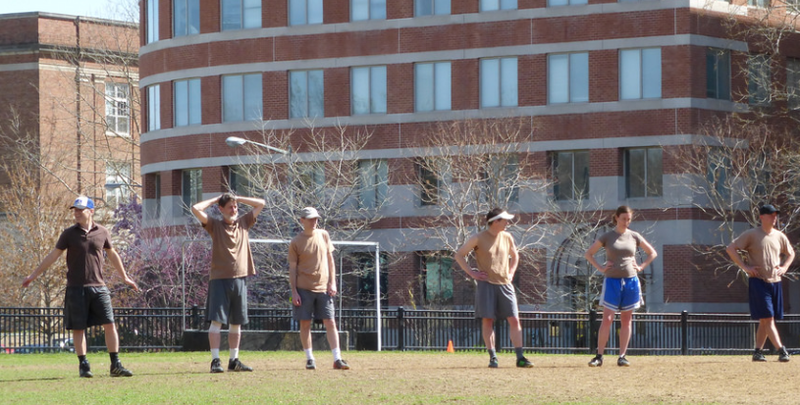 Lost amid the growing Wizards playoff fervor — and really, every other local sports story not involving the District’s semi-pro ultimate frisbee team — is the strong start to the season by the D.C. Current. Peter Prial made the most of the Current’s second chance, sending a “floaty hammer” to the end zone that Calvin Oung managed to snag among a crowd. This concludes your Major League Ultimate — and sports vernacular — update. Floaty. Hammer. On Sunday, May 4, both pro Washington, D.C. 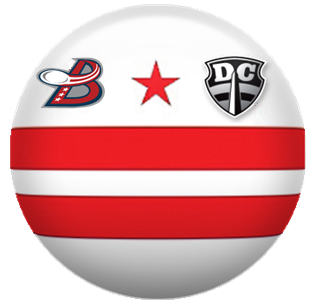 Ultimate teams - DC Current (MLU) and DC Breeze (AUDL) - play their Philadelphia rivals. The DC teams just announced a heavily discounted ticket offer for fans who attend/buy tickets for BOTH games. This is the first known cross-promotion between the two professional Ultimate leagues. *Entry with the discounted "doubleheader" ticket requires presentation of both purchased tickets. In November 2013, Boston's original home jersey for 2014 were different from what you see them wearing today. The jersey color stayed the same, but the smudge white logo that looked like a "W" only when accompanied with context (e.g. Boston Whitecaps white hat) was later replaced by a B (for Boston) with a smaller "W" embedded into the comb over wave. Boston's light blues have been their jersey of choice for the first 3 weeks - 2 home games, 1 away game - of the 2014 MLU season. 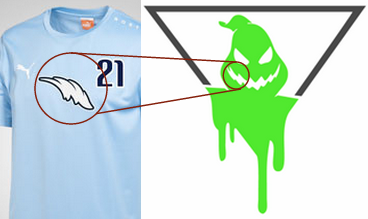 We just can't unsee the original jersey design, so here are some possible explanations for that alternative logo of the Boston Whitecaps. 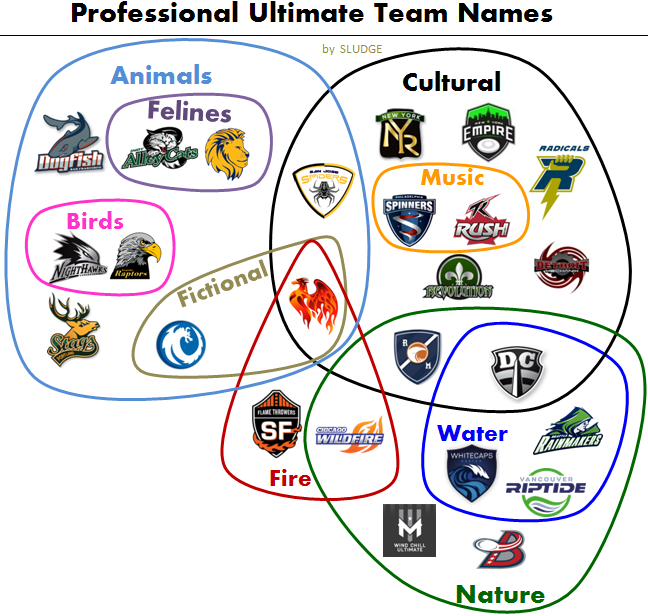 The additional 2014 AUDL teams made this year's categorization a bit more challenging, compared to last year. Thanks to Greg Esser & Glenn Poole for their contributions to this effort. Do you see more connections? Leave a comment. 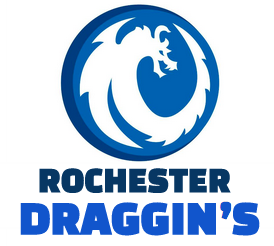 The prof Ultimate Rochester Dragons lost to the New York Empire on Saturday by a score of 27-8. After 24 minutes of play ij their AUDL game, the Dragons scored only twice, while the Empire posted 15. The Dragons scored 6 more times in the second half, for a total of 8 goals. 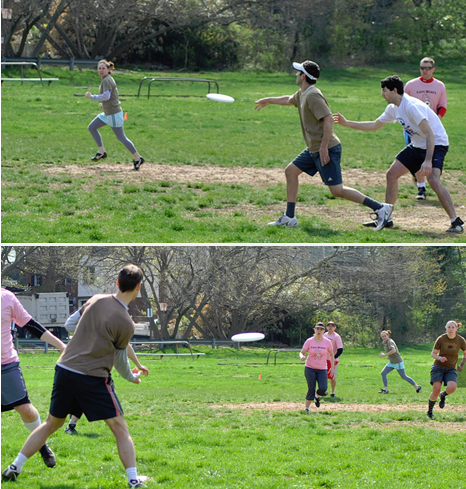 The Dragons play again today (Sunday, April 27) versus DC Breeze. Sludge finished their regular season with a strong performance over Built to Swill. Charlie's two-handed helicopter throw started Sludge with a 1-0 lead. Early breaks by Sludge's defense helped pad the lead. A goal line defense by Rachel led to Joe's cross-field goal to Mike; 4-3. A throwaway gave way to a score by Andrew; 5-3. Swill's offense began to find holes in brown's cup to score consecutive goals and take the lead; 5-6. Down by 1, Sludge then feasted on a 10-3 run the rest of the game. Chris' layout on the sidelines from Charlie's high flick, 6s; Henry's continuation of flow up the sideline to Andrew, 8-7; Brian's 15-yard backhand to Steve after the timeout, 10-7; Matthew's knockdown led to a Andrew-to-Joe-to-Sarah connection, 11-7. Sludge was about to put away the game with another break opportunity, but committed another turnover at/near their end zone. The safety of a 3-point lead (11-8) was questioned just like the idli (iddly) buffet item at Tiffin. At 12-9, Sludge scored the next 3 points -- Andrew to Chris to Henry with a bendy flick back toward Chris, which Rachel caught, 13-9; Joe's blade to Rachel at the cone; and, then Brian's throw-&-go with Mike which led to Matthew's flick to Sarah. Sludge win 15-9. 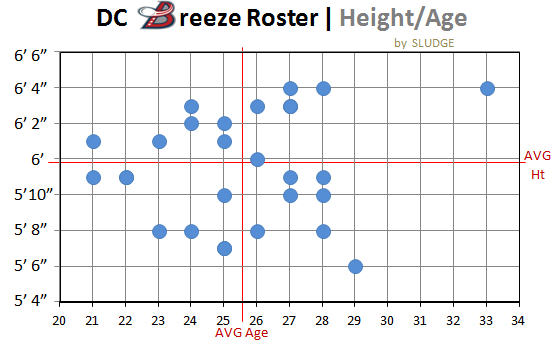 The 28-player roster for the Washington, D.C. Breeze is not only talented, it's also tall and young. How young – compared to top club teams – and tall, you ask? Nearly half of the roster is at least 6 feet tall, and the average player age is under 26 years old. Three (3) players are under-23; one (1) player is over 30 (33 y.o). 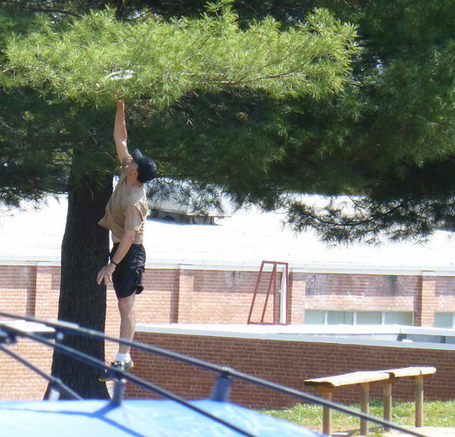 **Provided height data were to the nearest inch, no half or quarter inches. The 8 Major League Ultimate teams' rosters draw heavily from club teams in their respective cities. The idea here was to take each MLU logo and mash them with the club teams. Based on Eastern Conference sources, the MLU teams + their main club team(s). Based on the Western Conference sources, the MLU teams + their main club team(s). 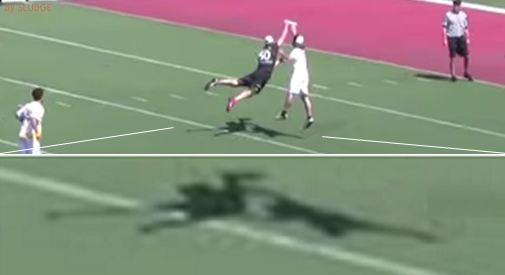 Beau Kittredge of the San Jose Spiders caught a Callahan in last Sunday's AUDL game versus the Lions. The play which took less than 3 seconds has the makings of a segment on Sport Science. The Salt Lake player establishes a pivot 10 yards before the endzone line and throws a backhand aimed toward a teammate in middle of the field. Beau (#50 in black) immediately sniffs out the pass and sprints 10+ yards in the direction of the disc as the Lions receiver waits for the disc to arrive. 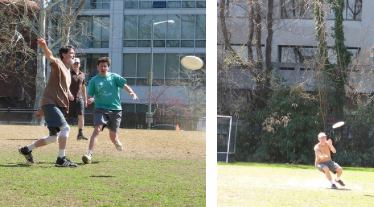 Beau jump-lays out with outstretched arm for the disc and snags the disc one-handed (avoiding contact) as his momentum carries him 3 yards into the endzone for the score. The shadow cast of this play is remarkably bizarre. This "handy" guide depicts the meaning of each of the signals from AUDL refs. Turnovers: travel, stall; Goal: 1 point; 10-yard Penalties: contact ("disc space" has been removed), offsides on pull. Don't these hand signals look like dance moves? Goal: beginning of the famous acronY.M...C...A. In honor of today's Boston Marathon, here's a white flying disc showing the arm-shaped Cape Cod peninsula of Massachusetts gripping a white Frisbee. 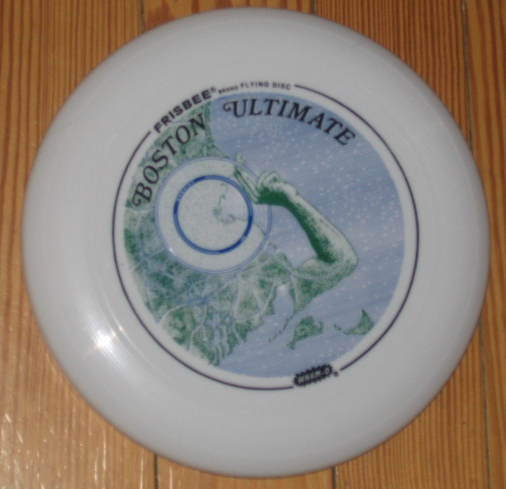 "Boston Ultimate" is curved around the top of the image. Interesting grip on the disc within the image. What the DC "field" (a euphemism) lacked in grass, it made up for with seating options. Sludge started slow trailing 0-2, then upped their game into half. Michael to Bucci, 1-2; Brian to Nigel, 2-2; Henry to Bucci after consecutive 10-yard throws, 3-2; Joe to Rachel, 6-2; Russ to Nigel; 8-2. Sludge's defense shutdown Catch You Later's primary O targets, which provided plenty of transition opportunities. The offense continued what it's supposed to be do (finding the end zone) in the second half. Bucci to David; 13-3; Russ to Rachel, 14-4. Win 15-6. In a rare occasion, Sludge leavened at the beginning of the game with a 3-0 lead. Henry to Joe, 1-0; Michael to Bethany with a high release back hand to Rachel, 2-0; Brian to Russ, 3-0. The lead continued to rise after unforgiving D-to-O tranSItioNs; 8-1. Sludge conducted an "egg" rolling on its 9-0 run, during which brown primarily played person defense. Nigel's backhand to Bucci, 10-1; Rachel's floaty backhand to no one that Matthew caught, 11-1; Charlie's record a bookend after his second hand block tip of the point led to catching Joe's IO in the end zone, 12-1; Andrew to David to Matthew, 14-3; Bethany's toss to Nigel ended the game. Win 15-3. Ultimate playing continued after the game as a way to savor the day. A great pro Ultimate game was played in Washington, D.C. last night where the DC Current won over Boston Whitecaps. After reading MLU's brief recap of the game, another impressive number that jumped out was DC held Boston to only 2 scores in the final quarter. 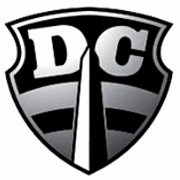 Congrats to @TheDCCurrent on their dramatic last-second win last night over the 2013 league champions! Just in time for Easter, a cute, tiny bunny rabbit in a plastic disc! 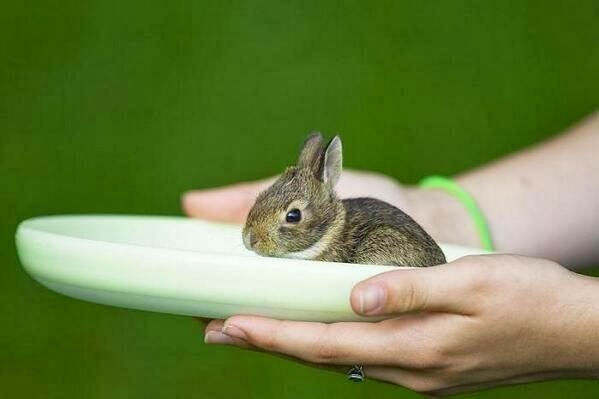 I REPEAT: A baby bunny in a Frisbee! The Washington DC Current (1-0) turn on the lights to their 2014 home schedule tonight. This Current team will be powered by a core of returning players primed to return to the playoffs. 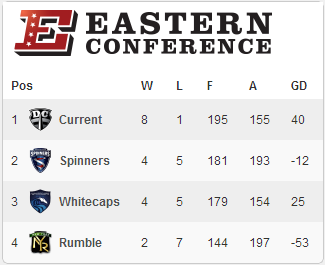 The Current are one of four teams in Major League Ultimate's Eastern Conference. All home games will be played at Cardinal Stadium at Catholic U. LAST SEASON: Their 2013 regular season record (4-6) was good enough to advance to the post-season where they lost to the eventual MLU champs in the eastern conference championships. PREDICTIONS: 2nd place in the East with a 5-5 record by MLU. Average outlook by Ultiworld & by SKYD. COACHING: The staff is led by two coaches - Keven Moldenhauer (HC) & Will Smolinski (AC) - who are both experienced with Truck Stop players and last year's Current team. ROSTER: Their roster is full of familiar, local faces from Truck Stop - the most of any team in the MLU East. And, over 60% of the 2014 players are returning from last year's team. This continuity should definitely benefit them at the start, and hopefully, throughout the season. OTHER AREAS TO WATCH: Last year's stadium location (outside the Beltway) was inconvenient, so relocating to a stadium inside DC, at CUA, is welcomed. The field orientation (east-west) last year challenged teams with a tough sun set, which should be solved at their new stadium. The scoreboard did not work at every game last year. Obviously, it should; and, hopefully, it will. The game day fliers with the player rosters given to attendees was a helpful giveaway. The concessions, merch table and ticket logistics were subpar last year and would add to the fan experience, if/when improved. Major League Ultimate teams sell tickets for single games and full season via TicketLeap. Last year, season ticket prices were uniform ($80) for every team; in 2014, teams have set their own prices. 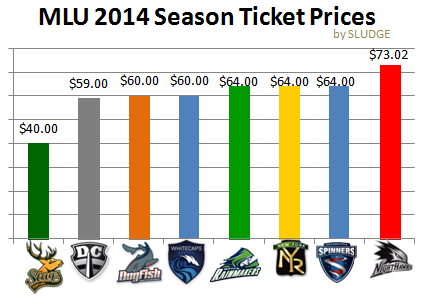 Portland offers the least expensive tickets in the MLU, while Vancouver's season tickets are the most expensive. ESPN3 is scheduled to stream 14 games during the 2014 AUDL regular season. The majority of teams will have a chance their games live streamed on ESPN3, but not all. Here's a breakdown of appearances on the live stream schedule by team, and then by division. 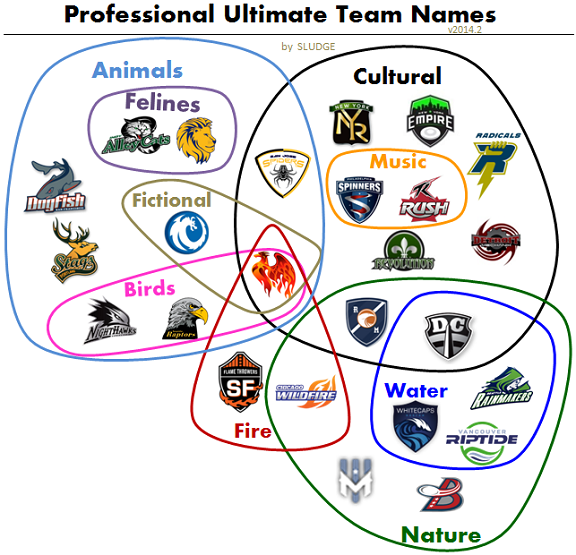 Of the 17 teams in the AUDL, only 5 are not featured in the regular season -- Philadelphia Phoenix, Seattle Raptors, Cincinnati Revolution, Salt Lake Lions and Detroit Mechanix; two of these teams - Philadelphia and Seattle - are located in cities that overlap with MLU teams. The only opportunity for these 5 teams to be featured on ESPN3 is for them to make the playoffs. 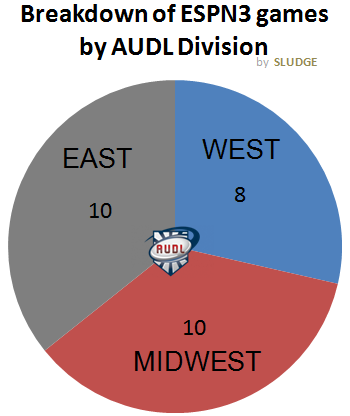 Overall, 70.5% of AUDL teams (12/17) get some ESPN3 exposure in the regular season. The East with 6 teams will be on ESPN3's live stream 10 times. 83% of east teams are scheduled to be on ESPN3; Philadelphia is the only east team not scheduled to appear on ESPN3. The Midwest with 6 teams will also be on ESPN3's live stream 10 times. 66% of midwest teams are scheduled to be on ESPN3; Cincy and Indy are the only midwest teams not scheduled to appear on ESPN3. The West with 5 teams will be on ESPN3's live stream 10 times. 60% of the west teams are scheduled to be on ESPN3; Seattle and Salt Lake are the only west teams not scheduled to appear on ESPN3. The Madison Radicals play their home games at Breese Stevens Field in downtown Madison, Wisconsin. After each 2013 home game, they publicly posted attendance numbers on their Facebook page. Why don't more pro Ultimate teams do the same? 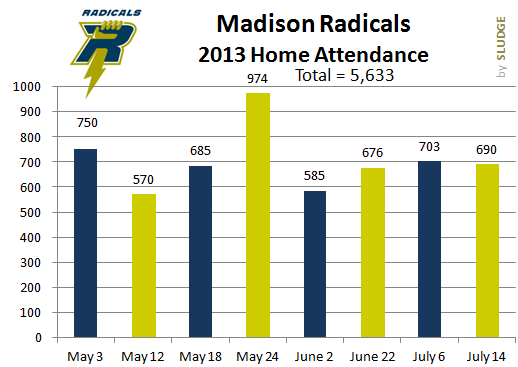 Hoping more teams publish attendance stats in 2014, and for Madison to continue to do so. From their New Year's letter (December 31, 2013) via Facebook, Madison remarked: "The Radicals are a small market team. Madison is the second smallest city in the AUDL, but we were second in total attendance behind the Toronto Rush." Attendance chart based on data posted on Facebook. 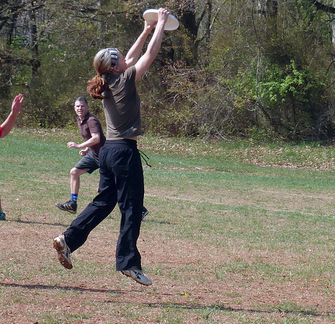 A regular look at the numbers and trends in the American Ultimate Disc League. +10 = largest point differential in an AUDL Championship game in San Jose Spiders 28-18 win over Toronto Rush. San Jose is the first U.S.-based AUDL team to beat the Rush. Toronto is the only team to have multiple appearances in AUDL Championships; in 2013 + in 2014. 28 = goals scored by San Jose Spiders in their Finals win; closely matching their regular season average of 28.4. 18 = goals by Toronto in their Finals loss; their lowest scoring all season. Toronto scored less than 20 goals in just 2 games in 2014 – both losses. (2-1) = Eastern Conference's all-time record in the Finals against the Mid/Western Conference. (16-1) = Spiders 2014 record; 13-1 in regular season, 3-0 in postseason. This is the second best record to finish the season, only to Toronto's perfect record in 2013. The American Ultimate Disc League Finals were played outside of the U.S. for the first time in its history. The 2014 AUDL semifinals & Finals were played in Toronto, Ontario. In the 7 postseason games, there was only 1 "upset" when Spiders (#2) beat the #1-seed Rush in the Finals. +41 = Toronto's goal differential in their 2 playoff wins – 37-11 over DC + 31-16 over NY. 23 = ties for most points allowed by 2014 Madison in the Radicals' 20-23 semifinal loss to San Jose. 20-23 = exact score the last time Madison allowed 20+ points AND lost, in Week 3 vs Minnesota. Madison vs San Jose game was the Radicals first game played in Canada. 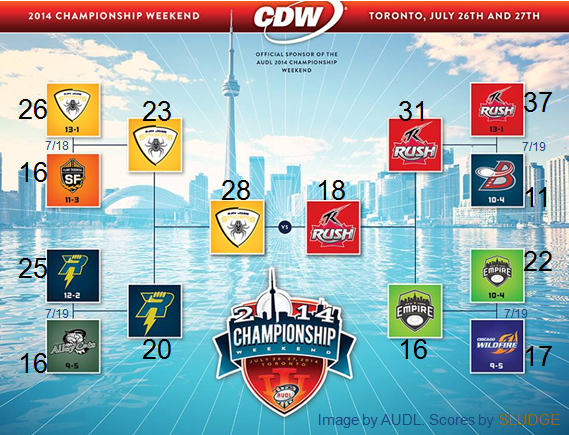 The 2014 AUDL Championship matches two 1-loss teams – San Jose Spiders (15-1) vs Toronto Rush (15-1). The 1pm ET/10am PT game time for the AUDL Championship will be the earliest scheduled game in the 2014 Spiders season. The last times these finals teams played back-to-back games was week 11 in the AUDL season, which they both won. Home teams went (4-0) in the 1st Round of playoffs. The higher seed in each playoff game won. (8-0) = home records of San Jose Spiders & Madison Radicals, in 2014. The first 2014 inter-divisional game was Chicago Wildfire (Midwest) vs New York Empire (East). NY won 22-17. +26 = largest point diff in an AUDL playoff game in Toronto's win over DC, 37-11. This was also Toronto's largest margin of victory in any 2014 game. Toronto's margin of victory = 26 = total points by San Jose Spiders in their playoff win, 26-16 over SF. DC posted their lowest point total in 2014 during their 11-37 loss to Rush. (8-0) = Madison Radicals record versus Indianapolis AlleyCats, including regular season & postseason, 2013-2014. San Jose Spiders won the 2014 Western Conference Championships. The Spiders are actually not the first team to win the AUDL West. The first was Indianapolis AlleyCats in the AUDL's inaugural year of 2012. 2014 AUDL Final Four: (1) Toronto, (2) San Jose, (3) Madison, (4) Empire. Out of the 2013 final four teams - (1) Toronto, (2) Chicago, (3) Madison, (4) Empire - three out of four are returning to the 2014 final four. The host city's team has never won the AUDL Championship - Detroit in 2012); Chicago in 2013. Toronto has an opportunity to break this streak as it hosts the 2014 Finals. Indy re-played their cancelled game versus Minnesota. The final score helped determine total goal diff to sort out 2nd/3rd place in the Midwest. Eight teams earned a playoff spot; 2 more teams than 2013. All but one 2013 playoff team - Philadelphia Phoenix (2-12) - returned to the 2014 playoffs. There were 2 teams with 0 wins and 14 losses in the 2014 season - Detroit & Salt Lake. No games were scheduled/played in the Western Division. 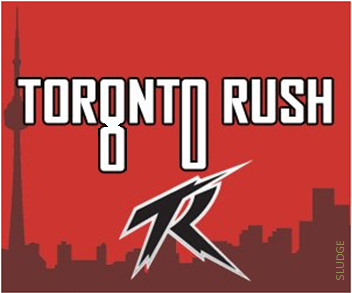 Toronto Rush lost for the first-time ever; their overall AUDL record is 30-1. The loss was Toronto's first loss at home; the Rush still have a perfect road record (15-0) in the regular season. Montreal Royal won 20-19 over Toronto Rush on July 5, 2014. In 31 games, Montreal Royal is the only AUDL team to have ever beaten Toronto. 441 days = length of Toronto's win streak, from April 20, 2013 until July 5, 2014. East Division: Toronto clinched the Regular Season title – just like last year. DC Breeze and New York Empire clinched a playoff spot. 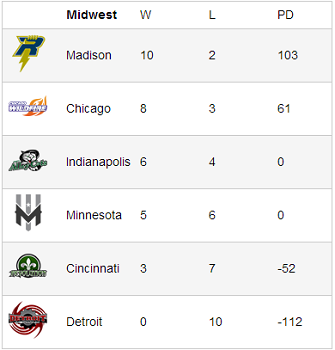 Midwest Division: Madison Radicals clinched the Regular Season title. Indianapolis AlleyCats and Chicago Wildfire clinched a playoff spot. West Division: San Francisco and San Jose both clinched a playoff spot. This is the 3rd consecutive year the AlleyCats have made the AUDL playoffs. 42 points = most points in a single AUDL game by Minnesota Wind Chill in their 42-16 win over Detroit. Salt Lake Lions finished their inaugural season with a winless record (0-14). The Detroit LIONS (0-16) were the last NFL team to have an imperfect season. Both Lions? Coincidence?? If Detroit loses on Friday and Saturday in Week 13, the Mechanix will become the second AUDL team to go winless in the regular season. Homes teams on Friday night games are (7-1). 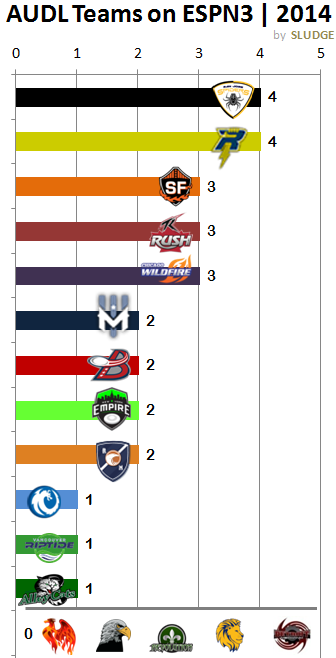 With 3 weeks left, DC Breeze (7-2) have played the least amount of of games . If Salt Lake loses on Saturday vs San Jose, the Lions will become the first AUDL team to go winless in the regular season. 20 games remain in the 2014 AUDL schedule. Philadelphia Phoenix (1-8) won their first game of 2014; 17-16 over Rochester. 61 days = duration between NY Empire's (7-2) only losses; vs Toronto on April 13; vs DC on June 14. 10 = Radical wins; Madison Radicals are 10-2 with 103 point differential in 2014. Madison (9-2) has the most wins in the league. 14.9 pts/game = average point difference in Salt Lake's 11 losses. The first cancelled game due to the weather (lightning) happened on May 31 in the Indianapolis @ Minnesota match. The game was delayed with 4:18 left in the 2nd quarter with the score AlleyCats 7 – 11 Wind Chill. No further notice of a continuation date/time. Toronto (7-0) is the only unbeaten AUDL team. The Rush are (25-0) since 2013. 8 games = losing streak of Rochester. The Dragons (1-8) haven't won since their first game on April 19th. 9 = # of teams with a winning record. Rush (7-0), Empire (6-2), Breeze (5-2) Radicals (7-2), Wildfire (7-3), AlleyCats (6-3), Spiders (7-1), FlameThrowers (7-1), Riptide (5-4). The last place teams in each conference remain win-less: WEST, Lions (0-9); MIDWEST, Mechanix (0-9), EAST, Phoenix (0-7) -- a combined (0-25) record! West = 43.86 pts (21 games); Midwest = 42.19 (27 games); East = 41.05 (22 games). Toronto (6-0) is the only unbeaten AUDL team. The Rush are (24-0) since 2013. 6 = # of teams with 6 wins. Rush (6-0), Radicals (6-2), Wildfire (6-3), AlleyCats (6-3), Spiders (6-1), FlameThrowers (6-1). The road team finally won on Friday; AlleyCats 24 over 20 Revolution. Home teams playing Friday games are now (5-1) on the season. Teams with their first-ever franchise wins: Seattle Raptors (1-5); Montreal Royal (1-2). 40 = highest scoring output by one team in AUDL game; Vancouver Riptide 40 vs Salt Lake (May 17), tying the AUDL record. Riptide's 25-point second half outscored 10 AUDL team's full game total this week. Toronto (5-0) remains the only unbeaten AUDL team. The Rush are (23-0) since 2013. (0-20) = combined record of the 3 win-less teams in the AUDL. The last place teams in each conference are win-less: WEST, Lions (0-8); MIDWEST, Mechanix (0-7), EAST, Phoenix (0-5). Games played by conference: MIDWEST = 21; WEST = 17; EAST = 15. After week 6, 8/17 teams (47%) have played at least half of their regular season games. San Jose Spiders point average: 20.5 vs FlameThrowers; 31 vs rest of West Conf teams. The first 2OT game of the 2014 season happened; Indianapolis AlleyCats 19 @ 20 Chicago Wildfire. (5-0) = record of home teams playing on Friday. 39 = highest scoring output by one team in AUDL game (2014); San Jose Spiders 39 vs Vancouver (May 10). 39 = total score in the 2-OT AlleyCats vs Wildfire game on May 9. 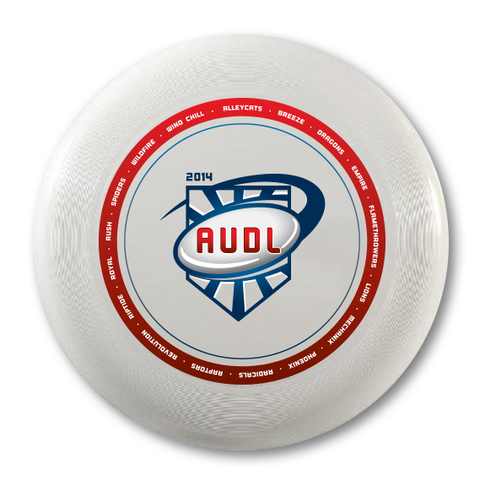 10 = # of times an AUDL team has scored 30 goals or more, in the 2014 season. Win-less: Montreal (0-2); Philadelphia (0-4); Detroit (0-6); Seattle (0-5); Salt Lake (0-6). Two Friday games were played for the first time on the 2014 schedule. 5 = # of teams that played back-to-back games in Week 4. (3-7) = record of teams during Week 4's back-to-back games. 35 = # of games played so far in the 2014 AUDL season. 0 = # of points New York Empire allowed in the 2nd quarter of their 27-8 win over Rochester Dragons. 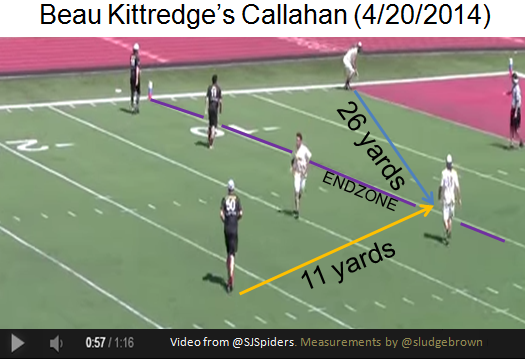 Beau Kittredge (Spiders) tallied the first second Callahan of the 2014 season. 3 teams are 3-0: Toronto Rush, Madison Radicals and Vancouver Riptide. The first of 11 Friday night games during the 2014 season was played; Wildfire @ Revolution. In their 37-18 win, San Jose Spiders scored more goals (20) in just the second half of their game than the Lions' game total (18). 37 points = most points scored in a 2014 regular season game, by San Jose Spiders in their 4/20 win vs SL Lions. 55 points = highest # of combined scores in a 2014 regular season game, during San Jose Spiders 37 vs 18 SL Lions game. 2000+ = attendance to Montreal Royal's first AUDL game, which was also livestreamed on ESPN3. 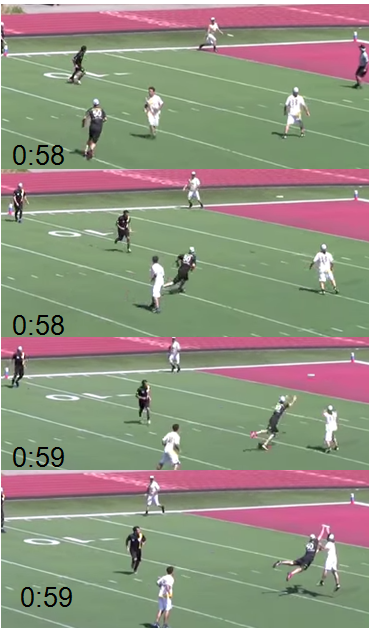 Tyler DeGirolamo (DC Breeze) recorded the first score of the 2014 AUDL season. Teams with their first-ever franchise wins: San Jose Spiders, Vancouver Riptide. 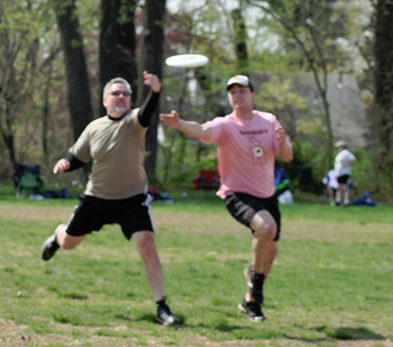 Scot Richgels (Radicals) recorded the first Callahan of the 2014 season. 26 = # of Vancouver scores in game 1 against Salt Lake. 26 = combined Salt Lake Lions' scores from their 2 games (14 + 12) versus Vancouver. In the second game of back-to-back games, "R" teams performed well as Rush, Radicals, and Riptide all won. Overall, teams with a second game on Sunday went 3-2. 4 = # of AUDL teams that did not play (DNP); Seattle Raptors, Montreal Royal, Rochester Dragons, Philadelphia Phoenix. UPDATE! The East Conference will NOT be renamed the "Northeast" this season. 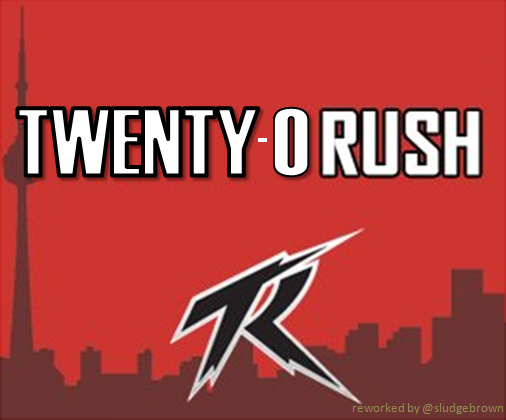 Toronto Rush's 2 wins this weekend extend their win streak to 20 games; 18-0 in the regular season. 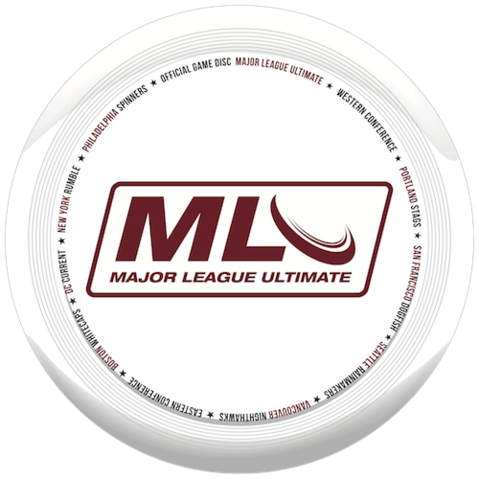 A regular look at the numbers and trends in Major League Ultimate. Vancouver's 2nd half point total = DC's 1st half point total; 13. Peter Prial has won back-to-back MLU championships; in 2014 with DC Current and in 2013 with Boston Whitecaps. DC completed its first-wins-versus-Boston "Trifecta"
Current (9-1; 1-0) are now (4-0) in games decided by 2 scores or less. DC Current won the 2014 Eastern Conference Finals by the same exact score as Week 2, when they beat Boston 18 to 17. Portland Stags matched their lowest scoring total of 2014 in their 13-14 playoff loss to Vancouver. +1 = point differential in the Western Conference Finals in 2013 AND in 2014. Jim Foster (Boston) scored a Callahan in the Whitecaps' 21-16 win over New York. The final Western Conference standings were completely reversed from last year. ; 2014: 1st) Stags 2nd) Nighthawks 3rd) Rainmakers 4th) Dogfish. 2013: 1st) San Francisco 2nd) Seattle 3rd) Vancouver 4th) Portland. -58 = goal differential by New York Rumble (2-8); the worst differential in MLU history (2013-14). 4 = # of teams that scored at least 200 goals in 2014 (DC, BOS, PHL, VAN). In 2013, only 2 teams achieved this milestone -- BOS, SF. 3 = # of Eastern Conference teams with at least 200 goals scored in 2014. 7 games = DC Current's winning streak. 6 games = NY Rumble's losing streak. 4 games = Seattle Rainmakers' losing streak. (27-13) (.675) = record/winning % of home teams in MLU 2014 regular season. +3 = largest margin of victory in 2014 for Philadelphia in the Spinner's 21-18 win over Boston. 1.5 points = average margin of victory for Philadelphia Spinners (4-5). The back-to-back losses (weeks 9, 10) for Boston Whitecaps are their first consecutive losing streak in franchise history. 6 games = DC Current's winning streak. 5 games = NY Rumble's losing streak. 3 games = Seattle Rainmakers' losing streak. (1-5) = overall record of MLU teams who played back-to-back games; SF (0-4), POR (1-1). Vancouver Nighthawks clinched a 2014 playoff spot. Whitecaps are the only MLU team with a losing record (4-5) and a positive Goal Differential (+25). 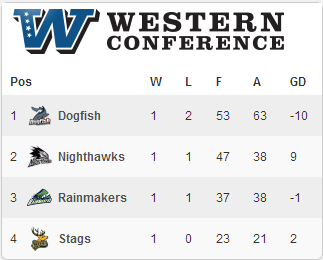 Portland Stags (6-1) clinched a 2014 playoff spot in the West. Away teams went (3-1) this weekend. Boston lost at home for the first time in their history. The Whitecaps were (10-0) before their 16-22 loss to DC. 12 points = Seattle's lowest scoring total in 2014 in the Rainmakers' 12-27 loss vs Vancouver. 12 points = San Francisco's lowest scoring total in 2014 in the Dogfish's 12-17 loss to Portland. 16 points = Boston's lowest scoring total in 2014 in the Whitecaps' 21-16 loss to DC. -15 = largest point differential by Seattle in their loss. Vancouver Nighthawks won 29-25 in Double OT* over Seattle. * = double OT should have been played as sudden death, but was played as another 5-minute OT. So, Vancouver will be the only team to have won a sudden death OT by more than 1 point. 53 = most combined points in an MLU game, Vancouver 29 – 24 Seattle, in 2OT on May 31. Vancouver (3-4; Home: 2-1, Away: 1-3) won their first away game. Seattle (4-3; Home: 3-1, Away: 1-2) lost their first home game. 29 = points by Vancouver in May 31st game AND May 10th game, both vs Seattle. DC (6-1) is the first MLU team to clinch a 2014 playoff spot; this will be Current's second consecutive appearance in MLU's post-season. New York's scoring average: 20 pts @ home; 11.75 pts @ away. The Rumble have not scored more than 18 points in the past five games, during which they have gone 1-4. Only two games on the schedule. -16 = New York Rumble's goal difference in 2013 (10 games). 6 = lowest point total by an MLU team, New York Rumble 6-23 loss vs. Boston. Morgan Hibbert (Vancouver Nighthawks) was ejected from the San Francisco game. 29 = point total by Vancouver in their win on May 10. 15 games remain in the 2014 regular season. Home teams are (19-4) [0.826] overall in 2014. Only 3 teams have won on the road -- DC (5-1), Seattle (4-2), Portland (3-1). These team are the only MLU teams with a winning record. Portland Stags (3-1) lost for the first-time this season. In Boston's 3 losses, the Whitecaps have lost each by 1 point. In Philadelphia's 2 wins, the Spinners have won both by 1 point. 25 = total points scored in Vancouver 12 - 13 San Francisco OT game. 25 = points by Seattle in their 25-23 win over Portland. 25 = points by Boston in their 25-26 loss to Philadelphia. After Week 5, DC Current matches their win total (4) from all of last season. Homes teams were 3-0 in week 5, bringing home teams records to 17-2 (0.894) overall in 2014. 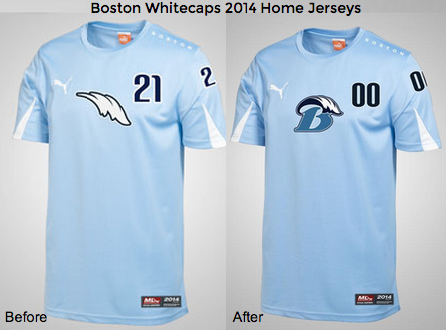 Boston Whitecaps wore their white alternate kits for the first time in 2014 for their home game vs Philadelphia, who have yet to wear their whites in 2014. 29 goals = highest offensive total by Vancouver Nighthawks in 2014, versus Seattle. 52 = highest combined score total in 2014, during Vancouver's 29-23 win over Seattle; averaging 1 goal/~47 seconds. No Sunday games were /scheduled played for the first time this season. Michael Panna (Philadelphia Spinners) recorded the first Callahan ("Pannahan"?) this week. 4-0 = record of home teams during week 4. 25 = highest point total ever by DC Current (2013-2014) in their 25-23 win over Spinners. 0-2 = Boston's road record in 2014. The Whitecaps were 5-0 in 2013. 3 = win streak by Portland Stags (3-0); the only undefeated team in the MLU. 0-4 = San Francisco's record during their 2 weekends of back-to-back games. With 6 more weeks left in the season, San Francisco Dogfish have played 60% of their scheduled games. 24 = # of games remaining in the MLU 2014 regular season, after week 4. 14-2 (0.875) = record/winning percentage of home teams (16 games). Only DC (on 4/12) and Portland (on 4/26) have won on the road...only Philadelphia (vs. Current) and San Fran (vs. Stags) have lost at home. Portland Stags (2-0) are the only undefeated team in the MLU. Portland's 18-16 win over San Francisco was the Stags first-ever road win, and the first loss at home for the Dogfish. Saturday's game was the first meeting of the season between Vancouver Nighthawks at Seattle Rainmakers, billed as "Border Bid Cup," and was played at a "neutral site" in the state of Washington. Home teams went 4-0 this week. Boston Whitecaps lost for the first-time ever; their overall MLU record is 13-1. In 14 games, Washington, DC Current is the only MLU team to have ever beaten Boston. 364 days = length of Boston's win streak, from April 20, 2013 until April 19, 2014. 2 games were tied at the end of regulation -- San Francisco Dogfish @ Seattle Rainmakers (1 OT) and Philadelphia Spinners @ New York Rumble (2 OT). The Spinners vs Rumble game was the first 2014 game to go in double overtime. -11 = largest deficit ever by Dogfish in their 15 to 26 loss to the Nighthawks. The Dogfish are the only team in the MLU to have multiple back-to-back games in the 2014 season. San Fran went 0-2 in this weekend's back-to back games. Their next "doubleheader" is 5/3 (vs. Portland) and 5/4 (vs. Seattle). Portland play their b2b games on June 14-15. After 2 weeks, Philadelphia Spinners are the only win-less team in the MLU. All Western Conference teams have 1 win. Alan Kolick (DC Current) completed all 56 of his passes in Saturday's win, continuing his streak of 100% accuracy thru 2 games. Portland Stags (1-0; Western) and DC Current (2-0; Eastern) are the only unbeaten teams in the MLU. Danny Clark (Boston Whitecaps) recorded the first score of the MLU 2014 season. Donnie Clark (no relation to Danny) recorded the first score for Seattle Rainmakers on the West coast. The home teams won 3 out of 4 games this week. Boston Whitecaps' win streak is now at 13 games; undefeated record (11-0) in the regular season. 21.9 = Boston Whitecaps average score in the 2013 regular season. Showing their consistency, they found the endzone 22 times in their win on Saturday. In their victory over Seattle, San Francisco Dogfish scored 18 goals -- their exact goal average against Seattle in regular season 2013 games. 1 = # of wins Portland Stags have in 2014, matching their win total in 2013, (1-9). Stags beat Nighthawks 23-21. 3 = # of times Vancouver Nighthawks scored 20 or more goals AND LOST, since 2013. This oddity* has happened to only three other teams, once per team.